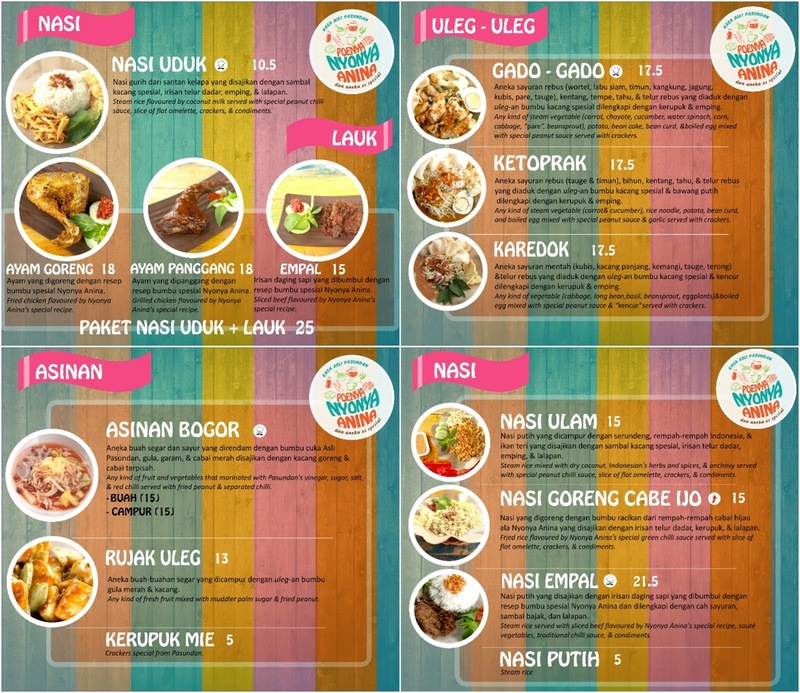 If you're looking for Sundanese Cuisine. 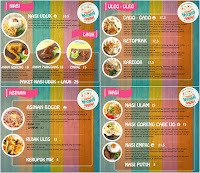 I don't think you'll find anywhere else in Surabaya besides this. 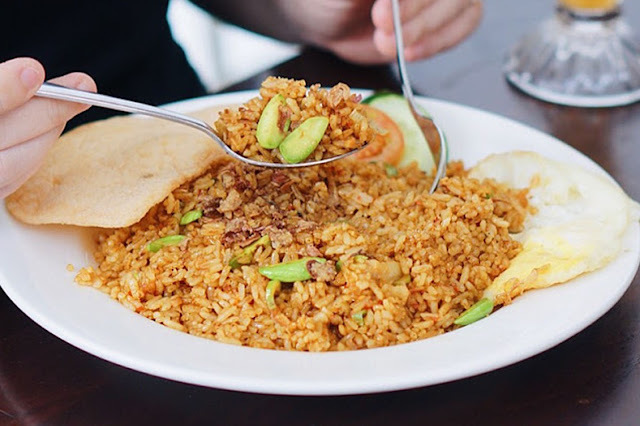 ESPECIALLY, if you're looking for the original taste, using the original ingredients, taste nice, and with a very affordable price! 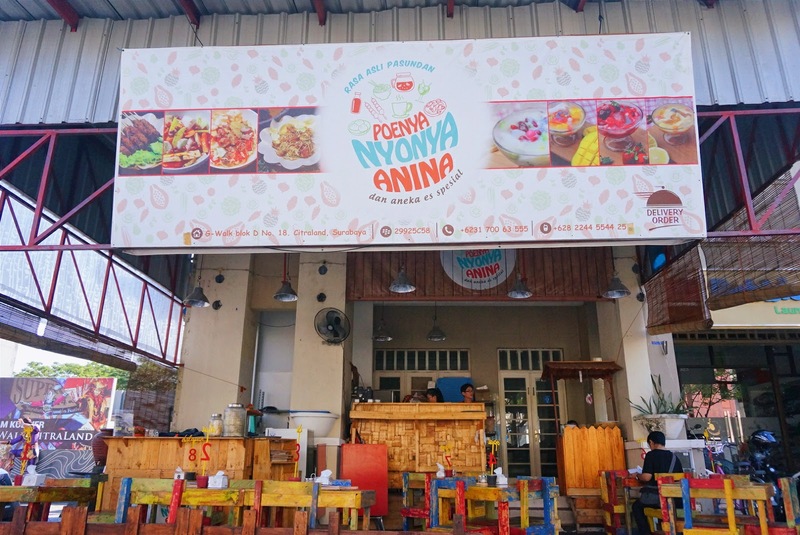 So last week, me, Eddie Tripleks and Opank were going to this tiny yet homie food stall in G-Walk Citraland, and we did have a feast there! 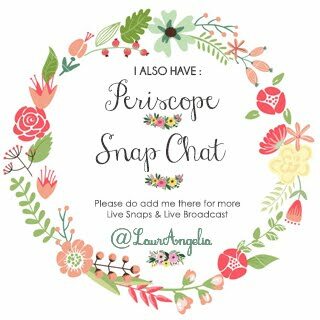 Curious much? Let's get to the review now! This place is pretty simple, they use a lot of woods on their furniture, actually all of them, lol. For the dining table and the dining chair, they painted it with a combination of bright colors such as blue, yellow and red. 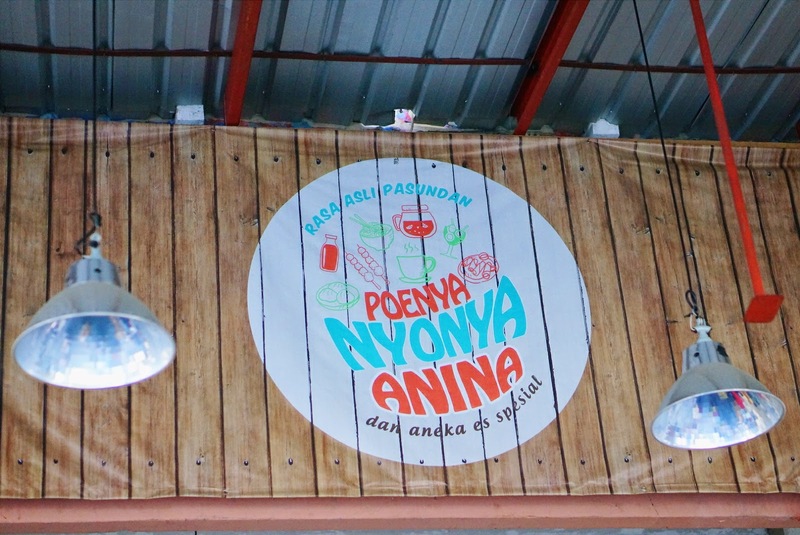 Poenya Nyonya Anina only fit for 24 people outside and there is no indoor area in here. The wind can be pretty annoying in the afternoon, but once it gets to the evening (around 4 pm or 5 pm), the wind starts to slow down and I think it's also the perfect time for you to visit here. The first thing that I tried that day, and it just stole my heart away! 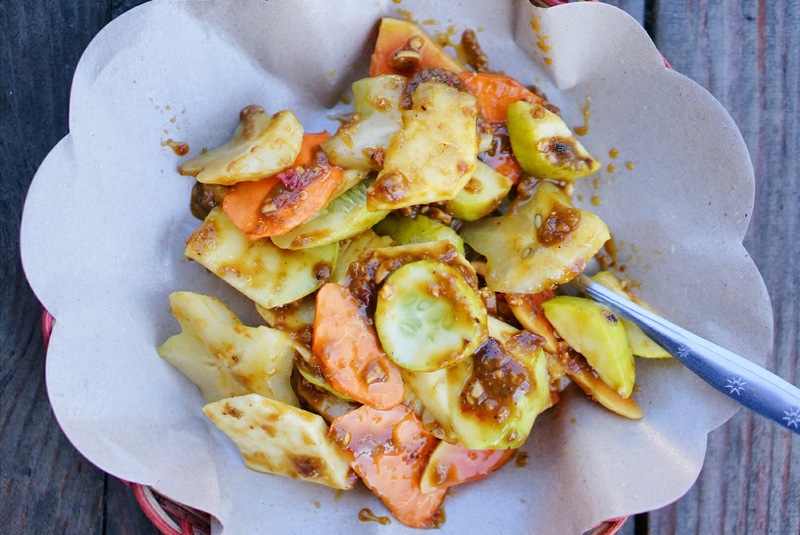 This is a mixed fruits and vegetables that marinated with Pasundan's vinegar, sugar, salt, and red chili served with fried peanut and separated chili. 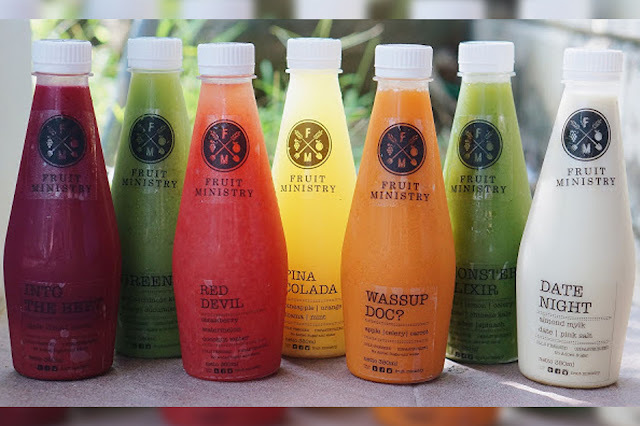 Me personally prefer the fruits, but you can choose all you want! And I bet you will wonder what's the orange thingy inside the bowl, you don't know what it is, but it tastes really good! I tell you now, it's YAM! haha.. And I love it! The Cireng, is no doubt is the best cireng I've ever tasted! Cireng is actually a snack, made of flour, and it's fried, I usually buy Cireng in PTC, but they are usually in a smaller size, thinner, and they are using peanut sauce. 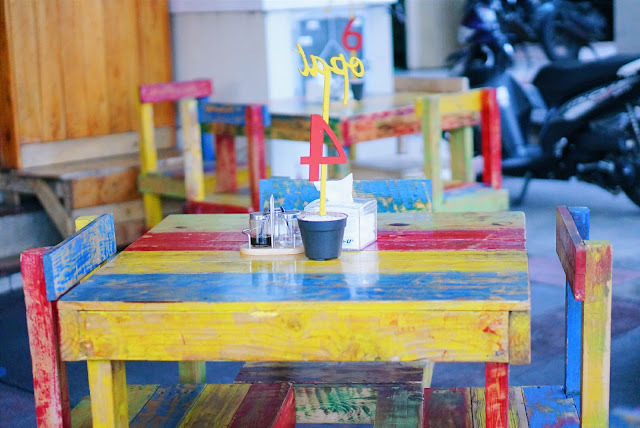 While in here, the Cireng is way bigger, thicker, tastier, and you'll eat it with their special chili sauce, which also taste really nice and match well with the Cireng. 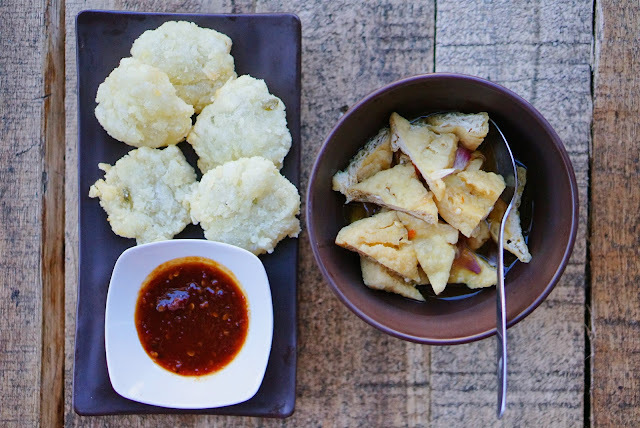 On the other side, for the Tahu Gejrot, it's a salty fried tofu, served with soup that contains chili, red onion, garlic and sugar. I don't like Tahu Gejrot in general but I'm trying to be as neutral as possible here, In my experience, the soup supposes to taste sweet & salty and a bit sour, but this one is pretty much salty overall. So if you're into salty food, this snack might be lovely for you. One of my kind of comfort food! Fresh fruits mixed with a muddler palm sugar and fried peanut. What makes me like this dish is actually the mixture of palm sugar and the fried peanut. I usually asked for it to be separated from the fruits, because I love to scoop out the sauce in a big amount, haha.. Trust me, you'd want some more too! 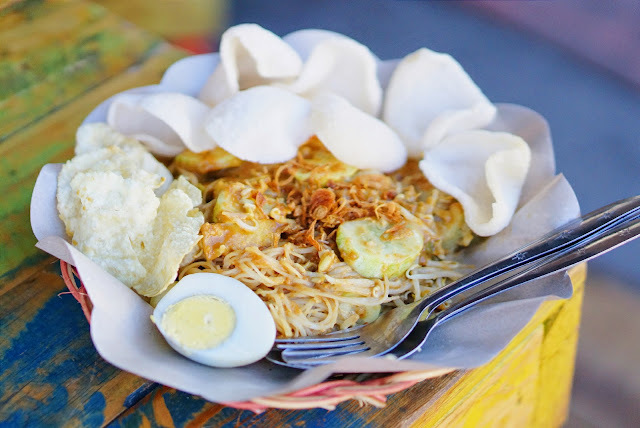 If you're looking for something fulfilling for your tummy, then Soto Mie is definitely a great choice! It has two kinds of noodle in one bowl of yellow soup! 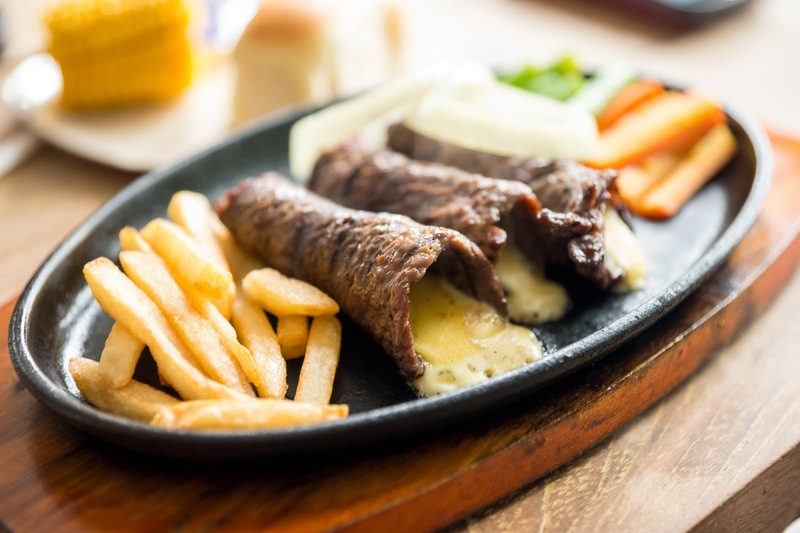 They also got sliced beef, vegetables such as tomato, potato, radish, cabbage, celery, then finished with crackers and Pasundan's taste of Risol. Me likey! This is a coconut milk soup flavored by traditional herbs, served with sliced beef meat, potato, tomato, slices of leek, and crackers, finished by lime and chili sauce. 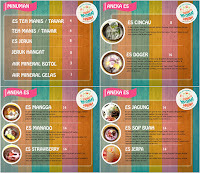 And this is one of my favorite menu in here, why? 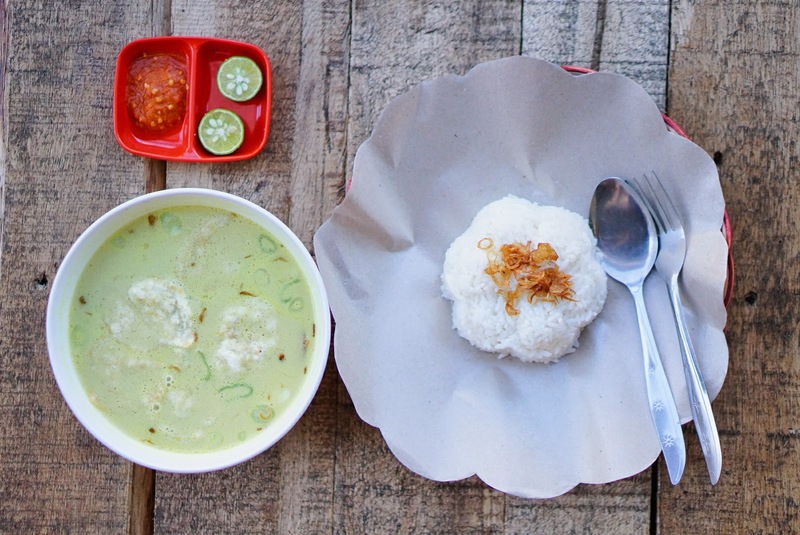 Because I never find Soto Betawi in Surabaya as good as this one! You really should try! 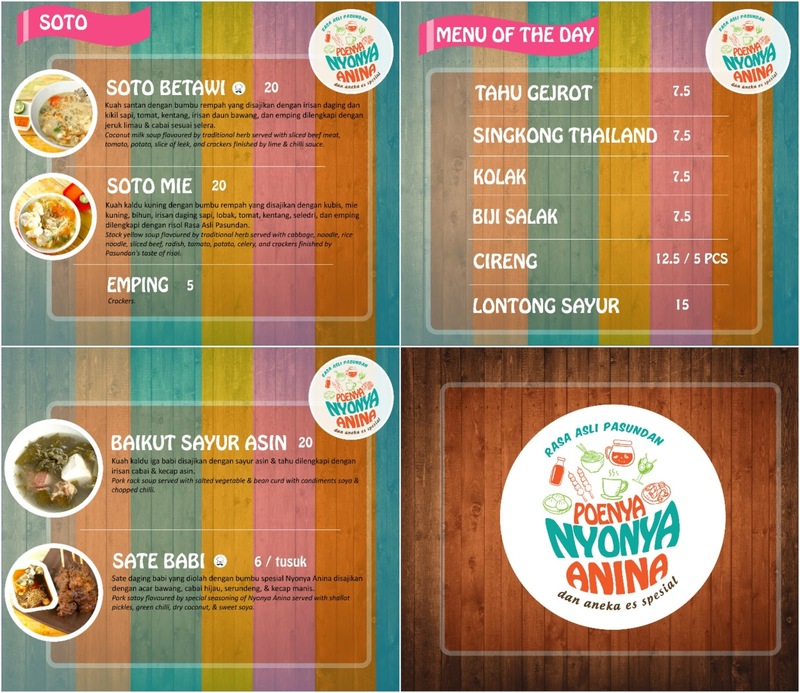 And it's so affordable as well compared to the other restaurant that sells Soto Betawi. 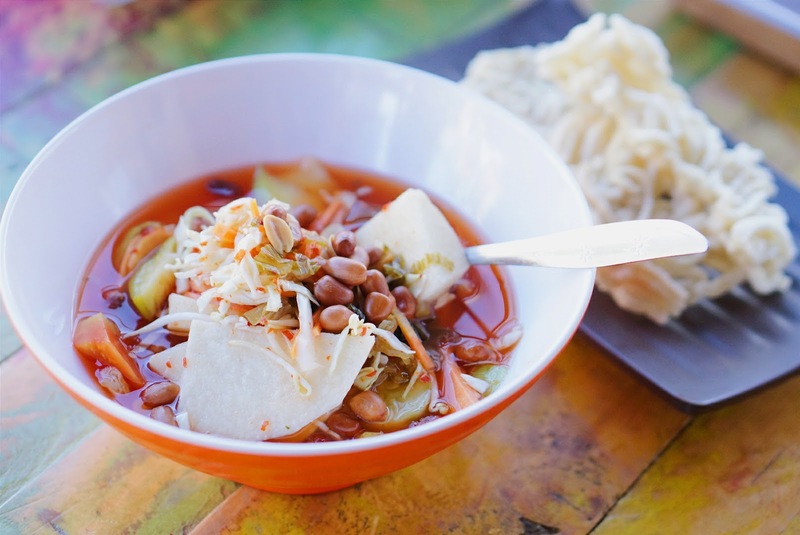 This is a steamed vegetables (carrot & cucumber) with rice noodle, potato, bean curd, sprout, and boiled egg mixed with special peanut sauce & garlic served with crackers. My favorite part about this dish is the Peanut Sauce! I guess they're very serious when they said, "special" peanut sauce, because I tell you what? It really is! Woohoo! I super love this one!! It's a steamed rice flavored by coconut milk served with special peanut chili sauce, slice of flat omelette, crackers & condiments. 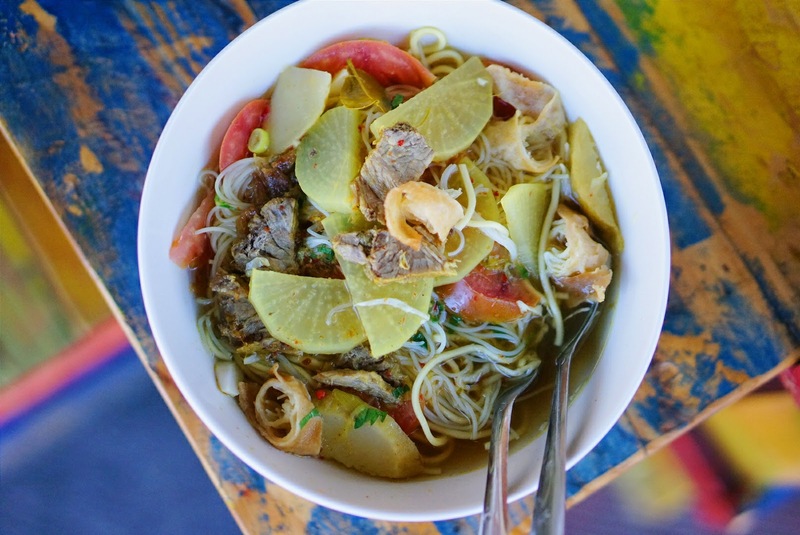 Topped with sliced beef flavored by Nyonya Anina's Special Recipe. I remember this is one of the first dish that came out, but one of the last that I ate, but it still tasted so good! 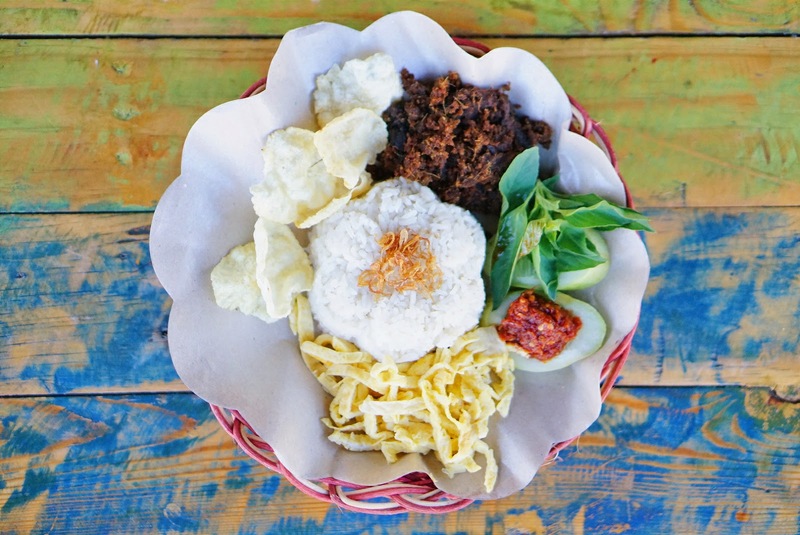 The steamed rice, the sambal, the sliced beef, eat them all together with the flat omelette and the crackers, I think you'll agree with me in no time! 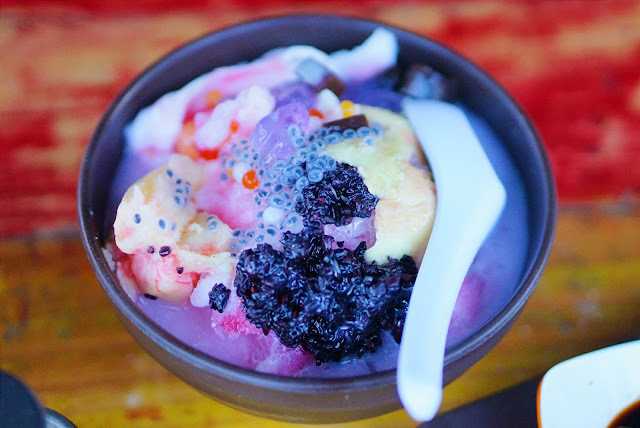 Ice crush with sugar and coconut milk served with "Black Tapai", "Yellow Tapai", coconut, grape jelly, chocolate pudding, avocado, bubble and nata de coco topped with milk and syrup. This is my favorite dessert! Kind of reminds me of my childhood, though it was different back then, but the taste of coconut water and milk just makes me miss those moment so much! Well, this one, is what you called the ORIGINAL Cincau! Not just a jelly cincau. 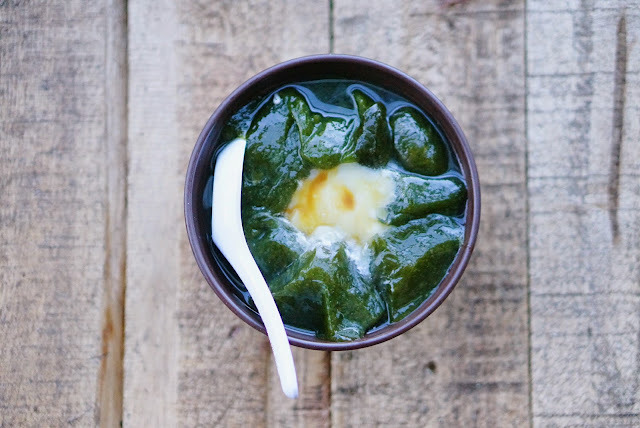 It's specially made by Nyonya Anina, from Cincau Leaves, served with coconut milk and palm sugar. Really, you can compared to any stalls that serves green "Cincau", you'll know then which one is the original one. 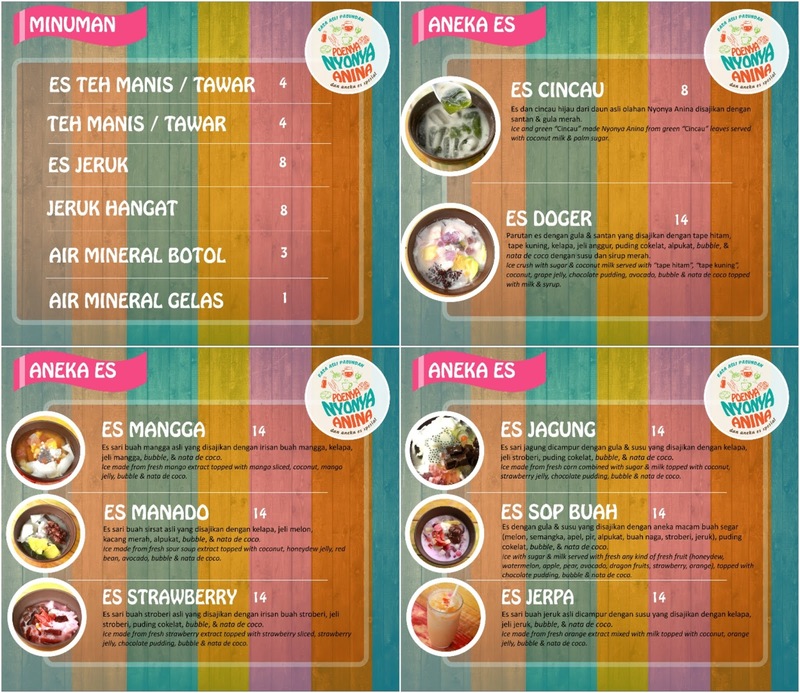 Last but not least, Es Manado. 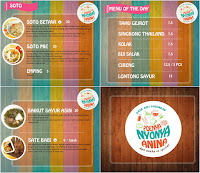 This is one of the best seller dessert in Poenya Nyonya Anina. 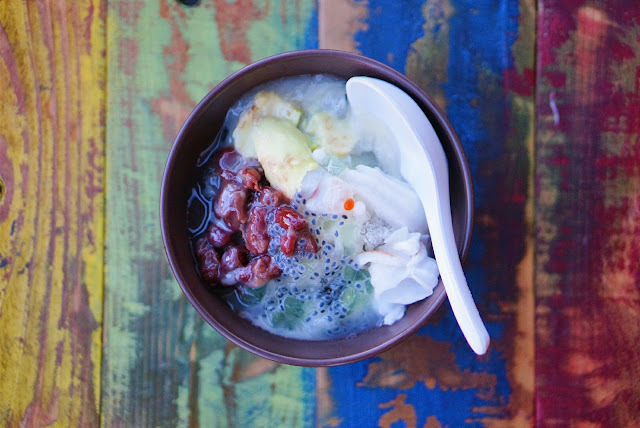 It's a bowl of ice made from fresh sour soup extract, topped with coconut, honeydew jelly, red bean, avocado, bubble and nata de coco. They said, people keep coming back for more of this. Now you want it too right? In here, foods are quite various. and will be more various in the future, because they are constantly adding new menus from time to time, preventing stagnation. They are also selling pork, but EVERYTHING is separated from the very first cooking process. The pan, the herbs and spices, even the storage boxes are different, so no worries. :) Price wise, for such place that's using only original and fresh ingredients, no preservatives, no coloring, no plastic (lol), it's freakin' cheap! You can spend 50k for one appetizer, one main course, one dessert and also drink. Isn't that very nice?? And one more good news for you! They do catering as well! They don't have toilets inside, but right next to their place (behind the stage), there's a public toilet that Citraland has provide for G-Walk customers. Another thing that I noticed is : in G-Walk, everyone can park everywhere. So in this state, there's no guarantee you can park in front of the stall, you have to work it on your own, lol. And the last thing is, since they are using no preservatives, you'll find some flies there. I already told the owner though about this, and surely, they'll take care of it soon. So again, no worries, I'm just giving a friendly reminder, haha..
Don't wear skirt, the wind is quite heavy, might as well as bring a tie for your hair if you don't want to get messy.